Katrin Shultheiss, who began her tenure as chair of the history department this semester, wants to breathe new life into the subject. 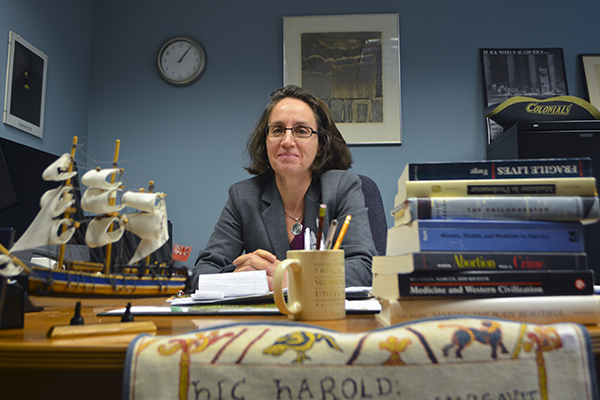 The new history chair plans to make history in the department. Katrin Schultheiss, who stepped up as chair of the history department this semester, said she wants to combat an assumption that because history is the study of the past, it is tired or outdated. 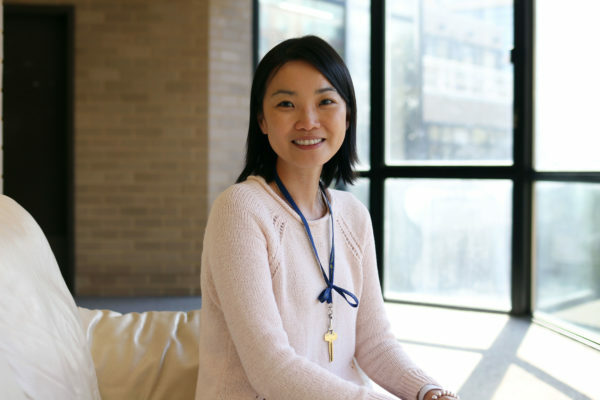 By increasing the department’s social media presence, creating a sense of camaraderie throughout students and faculty and reaching out to the public, she hopes to make history at GW more enticing. Over the next three years, Schultheiss plans to raise the profile of the department at GW and show students how having a historical education can still prepare them for a prosperous career. She said adding technology will be key to engaging students in a field that does not always seem up-and-coming. “I think that you’re going to see a real resurgence of understanding of the value of the humanities, and I think history will be really at the center of that,” Schultheiss said. In her first few months in the position, Schultheiss has already started monthly seminars called colloquiums for graduate students and professors to present their research to each other and the outside community. Schultheiss will present her own research on European history at the next colloquium, and is currently working on a book on the French neurologist and psychologist Jean-Martin Charchot. She said she hopes students and faculty will get involved in “public history initiatives,” or projects that bring history to communities outside of academics, to learn how to connect history to a wider audience and help people understand why history matters. The programming Schultheiss is initiating in the department will also encourage students who are concerned majoring in history will not lead to lucrative careers, she said. The National Association of Colleges and Employers released survey results in June that included data from GW graduates on post-graduation outcomes. According to the report, 50 percent of history majors nationally from the Class of 2014 were employed within a year after graduation, and their average annual income was about $37,000. She added that she hopes to hire faculty members in new areas of expertise, including a medieval Islamic historian, to start teaching next fall semester. Four faculty in the department already focus on Middle Eastern studies, but none focus specifically on Islam. She said she also plans on eventually bringing an American women’s historian to GW. Schultheiss started her three-year term as chair this fall succeeding William Becker, who is still a history faculty member. She is the third female chair for the history department, breaking from a tradition of having a male chair for the department. 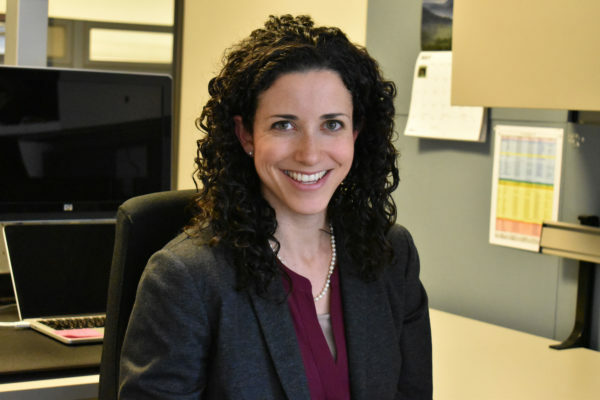 Schultheiss said she will be more likely to notice when “forced gendered roles and expectations” are taken on in the department in day-to-day life. “It just might be more in the forefront of my thinking that these are roles that we have to be careful [not to push onto others],” she said. Tyler Anbinder, a professor of history, said he has already noticed Schultheiss’ efforts to encourage interaction between faculty and students. “I already see that Katrin has put a big emphasis on the social life of the department,” Anbinder said. Anbinder also highlighted Schultheiss’ committment to faculty and graduate research, and said he feels a more cohesive environment in the department.